Ridesharing companies Lyft and Uber have been igniting interest the past couple of weeks in the initial public offering space (IPO) with the former debuting earlier this month and the latter set to launch mid-May. Amid a week of more first-quarter corporate earnings reports, three other IPOs are set to debut and get their taste of the public limelight. Videoconferencing company Zoom Video Communications is offering 20.9 million shares with a price pegged at $28 to $32 each, which will trade on the Nasdaq Composite. The company is growing at a 100 percent rate and unlike Lyft and Uber, is profitable ahead of its IPO debut. Zoom had an adjusted profit of 3 cents a share for its most recent fiscal year as well as a revenue of $330.5 million–double last year’s $151.5 million. Pinterest lost $63 million in 2018, which almost seems miniscule next to the over $900 million loss that Lyft revealed prior to debuting its IPO. Competitor Uber Technologies Inc. has been losing more than $800 million a quarter and plans to offer its own IPO later this year. While the name may not strike a chord in terms of familiarity, its core business model of manufacturing vapes and related accessories may spark some interest by investors. In a time when cannabis-related stocks like Tilray and ETFs like the ETFMG Alternative Harvest ETF (NYSEArca: MJ) have garnered investor attention the past year. Despite not actually conducting its core business around cannabis due to U.S. stock exchange regulations, it could be the closest thing for investors domestically as opposed to those public companies seeking the safer regulatory confines of the Canadian Securities Exchange or the over-the-counter (OTC) market. Greenlane is planning to offer 5.3 million shares priced at $14 to $16 each and will trade on the Nasdaq Composite. 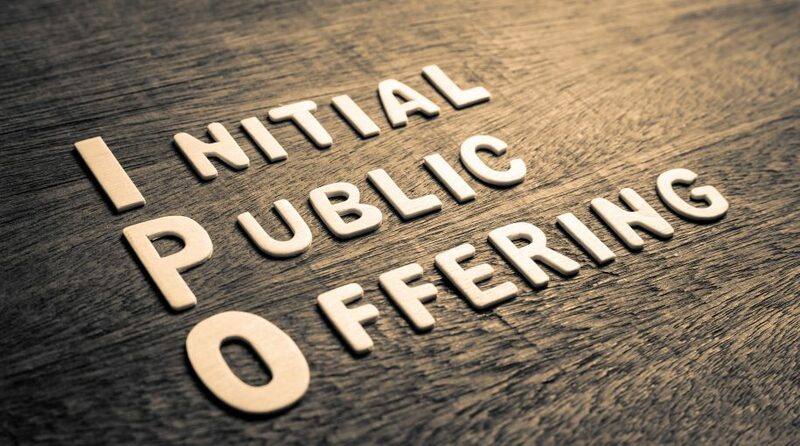 For investors who want a piece of the IPO action, but don’t necessarily want to assume all the risk associated with investing in a single stock can look to the The Renaissance IPO ETF (NYSEArca: IPO). 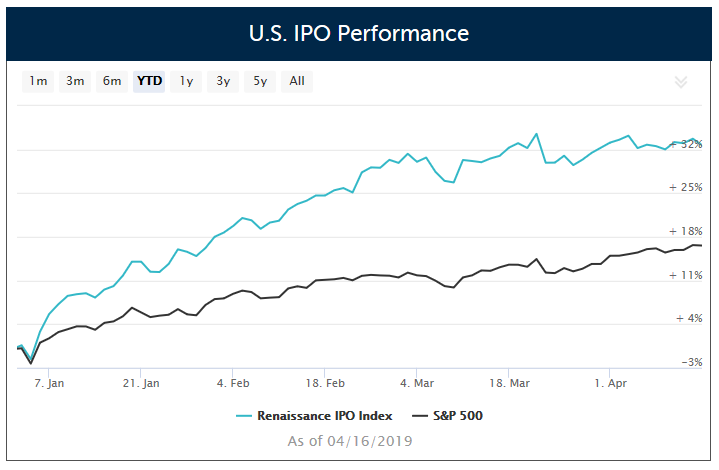 IPO seeks to replicate the price and yield performance of the Renaissance IPO Index, which is a portfolio of companies that have recently completed an initial public offering (“IPO”) and are listed on a U.S. exchange. As of April 16, IPO’s holdings include Elanco Animal Health, VICI Properties, Spotify Technology, and Okta. IPO is up 31.15 percent year-to-date.